"Hidden Tropical Jewel and the Philippine Surfing Capital"
Surigao del Norte is a medley island in the northeastern tip of Mindanao. A province that has managed to preserve its natural marvel through the years. On the eastern side of the province is Siargao Island, a hidden tropical jewel of the Pacific that hosts one of the most beautiful beaches in the world and home of wave surfing and the famous CLOUD 9, the latest sport and tourist attraction to take the country by storm It is the Surfing Capital of the Philippines. The best known surfing break now with a world reputation of being in the top Surfing Waves in the world, is nick-named "Cloud Nine". But there are literally scores of breaks down this coast, and every time a surfing expedition is mounted in the area, more new breaks are being discovered. 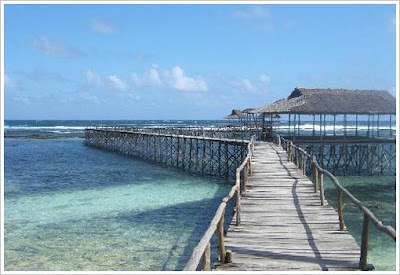 Siargao is a tear-drop shaped island situated 800 kilometers southeast of Manila in the province of Surigao del Norte. It has a land mass of approximately 437 kilometers. It has a land mass of approximately 437 kilometers. The east coast is relatively straight with one deep inlet-Port Pilar with a coastline marked by a succession of reefs, small points and white sandy beaches. There are similar neighboring islands and islets with similar landforms. The reefs and points are excellent for picking up any swell that comes along turning into clean, fast waves. 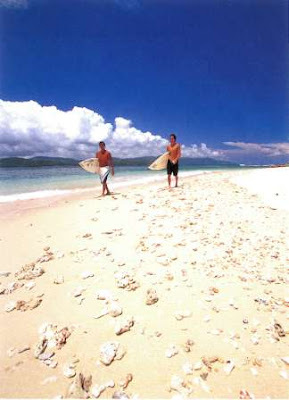 The Island's Pacific-facing reefs are situated on the edge of the Philippine Trench, and the extremely deep offshore waters guarantee the ocean swells have undiluted power when they encounter the many coral and rock reefs, giving Siargao excellent surfing conditions, particularly during the southwest "habagat" monsoon from August to November, when the prevailing wind is offshore. 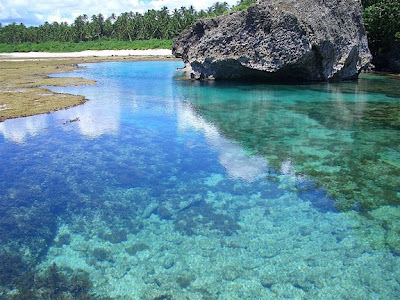 Siargao Island, faces the Pacific Ocean and the Philippine Deep, the second deepest water in the world, at more than 11 km below sea level. The area is pure tropics with the plenty activities including snorkeling, island hopping, waterfalls, swimming holes and of course awesome waves and friendly locals. This right-breaking reef wave is the site of the annual Siargao Cup, a domestic and international surfing competition sponsored by the provincial government of Surigao del Norte. The wave was discovered by travelling surfers in the late 1980's, and named and made well-known by American photographer John S Callahan, who published the first major feature on Siargao Island in the US based SURFER Magazine in March 1993, and hundreds of photos in many other books and magazines since. 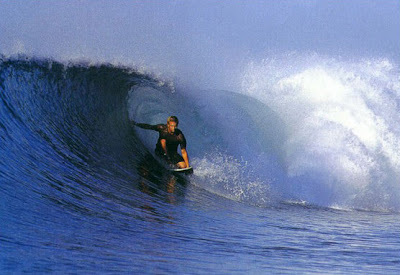 Callahan has returned to the island many times since his first visit in 1992, and his efforts to photograph and publish surfing related and general location material from Siargao islandin books and magazines around the world has put the island on the international map and drawn thousands of surfers and tourists to Siargao island. There are several other excellence waves on Siargao and nearby islands, but Cloud 9 has received more publicity than any other wave in the area, indeed in the Philippines as a whole. It is the only wave in the area easy to get to without a boat, leading to overcrowding and the nickname of "Crowd 9" among surfers worldwide as keen foreign and locally owned accommodation and tourist facilities attempt to profit from the magazine publicity and the annual arrival of visitors drawn by the Siargao Cup competition in September. Siargao Islands contain the biggest mangrove forest reserves in Mindanao on the opposite coastline. Long stretches of wetlands equally indicate potentials for commercial seaweed propagation. 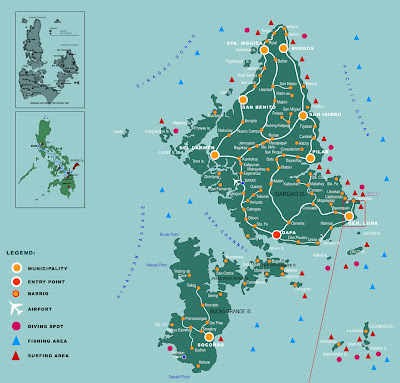 Siargao Island is greatly influenced by the winds and currents coming uninterrupted from the Pacific Ocean, intensified by the Mindanao current running westward through the Siargao Strait. Offshore, a classic tropical island lay secluded within its surrounding coral reef and the dozen coconut palms dressed in the center circle of the island crackle gently in the morning breeze. Off to the right, well within the massive coastal reef, lay a shining white sand bar some 200 meters long, maintained by a group of some forty black-headed terns that stood chattering among themselves at the waters edge. The tide of Siargao is diurnal with tidal curves typically present especially on the east coast of the island.